Andrea Campbell advises automobile manufacturers, engine and equipment manufacturers, electric utilities, trade associations, and coalitions on a variety of environmental matters, particularly those under the Clean Air Act. She counsels clients on the development and implementation of regulations addressing vehicle emissions and on-board diagnostic standards, Corporate Average Fuel Economy (CAFE) and EPA vehicle GHG emission standards, and California zero-emission and advanced vehicle programs. 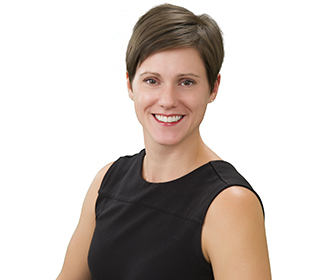 Andrea also advises clients on federal environmental policy, legislative issues, and enforcement matters before federal courts, EPA, and the California Air Resources Board (CARB). Her work covers National Ambient Air Quality Standards, National Emission Standards for Hazardous Air Pollutants (NESHAPs), and other federal air quality standards affecting stationary sources. She also advises clients on EPA regulation of fuels/fuel additives and on the phase-out of HFC/HCFCs under EPA’s Significant New Alternatives Policy (SNAP) Program. Advises major international auto manufacturers on a wide range of federal and state environmental and energy policy, regulatory, legislative, and compliance matters, including 2012-16 and 2017-25 vehicle GHG/fuel economy standards; California zero-emission and low-emission vehicle programs; EPA Tier 3 emission standards for vehicles and fuels; vehicle and engine recalls and enforcement actions; vehicle labeling, distribution, and importation questions; advanced vehicle tax and HOV incentives; and climate change and renewable energy legislation. Counsels heavy-duty diesel and marine engine manufacturers on compliance and enforcement matters before EPA and the California Air Resources Board. Represented automobile and non-road engine manufacturer trade associations in challenges to EPA fuel waivers and rules before the D.C. Circuit Court of Appeals. Advised national automaker trade association and individual manufacturers on development and implementation of EPA hazardous air pollutant regulations (known as NESHAP or MACT standards) affecting vehicle assembly plants and paint shops. Drafted comments and advised large electric utilities on proposed hazardous air pollutant regulations and implementation of standards. Guided advanced biofuel manufacturers through EPA new fuel registration and testing requirements. Monitored federal energy policy and legislative issues for Alaska Native Corporations. Successfully appealed decisions of the Board of Immigration Appeals on behalf of applicants for asylum and lawful permanent residency on a pro bono basis. Assists a D.C. family in navigating the special education process to obtain and maintain an Individualized Education Program (IEP) for an elementary school student.